An internationally-renowned small business marketing consultant and event manager, Melissa Forziat has been featured in a wide array of guest blogs, articles, and podcasts all over the world! Check out her marketing features and recent press here. 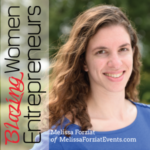 Melissa talks with host Blaze Lazarony all about creating your dream job, relationship building in marketing, and the value of social media in this fireside chat about the journey of becoming a successful woman entrepreneur. 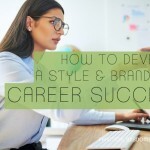 “How to Develop a Style & Brand for Career Success” – How do you develop your style and brand so that you’ll succeed in your career? We cover it in this podcast. 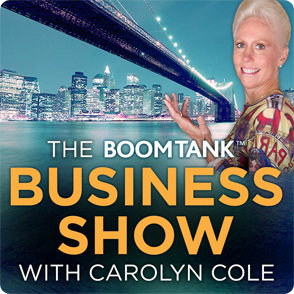 Melissa and host Lynn Whitbeck discuss pointers on making the perfect business brand and the perfect personal brand to unlock career success! “How to Craft an Effective Marketing Strategy” – Melissa talks with Aidan Vuocolo about making values-driven decisions in your business, ensuring that your client base is reflective of your brand, and the core elements of a good marketing plan. 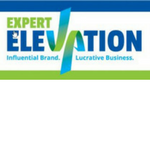 Or listen to How to Craft an Effective Marketing Strategy via Apple Podcasts. 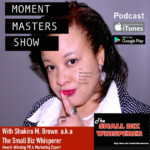 Melissa and host Dr. Rosie Kuhn explore the challenges and advantages of marketing a small business when you are introverted. 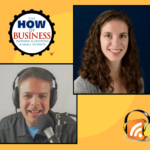 Melissa talks with host Neil Ball about the journey, tips, and process of being an entrepreneur and the very real challenges of small business ownership. 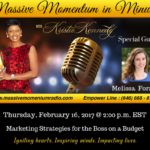 Melissa and host Kristie Kennedy have an energizing discussion about Marketing Strategies for the Boss on a Budget. A great podcast for small business owners trying to market their businesses strategically and effectively, especially early on in business. 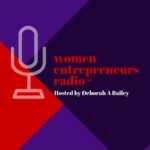 Melissa joins host Deborah Bailey for a great talk about the experience of small business ownership and marketing a business when you don’t have a lot of resources. Melissa joins host Sheryl Wolowyk to talk about Small Business Marketing on a Budget and effectively communicating your message to address your target market’s pain points. 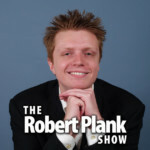 Melissa joins host Robert Plank to talk about live events, nonprofit fundraisers, sponsorships, partnerships, referrals and more! 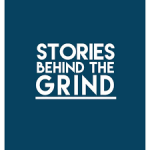 If you’re thinking about investing in an event this is the podcast for you. Melissa joins host Shakira Brown for an inspiring talk about how to gain credibility when people don’t know you. Melissa joins host Tom La Vecchia to talk about how she became an entrepreneur and the path she took to grow her business. This podcast has great insights into growing a business through speaking engagements and word of mouth marketing. 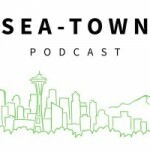 Melissa joins host Christian Harris for an engaging chat about her journey to small business ownership in Seattle, and why she is passionate about helping other local small business owners achieve success. 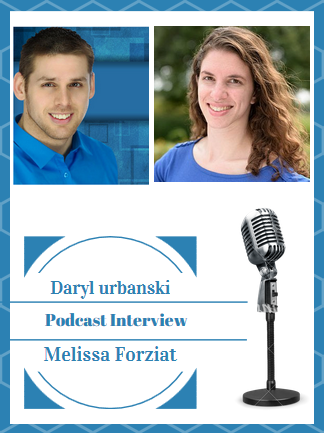 Melissa joins host Daryl Urbanski to talk about the elements of small business marketing on a budget and the importance of a strategic marketing plan. 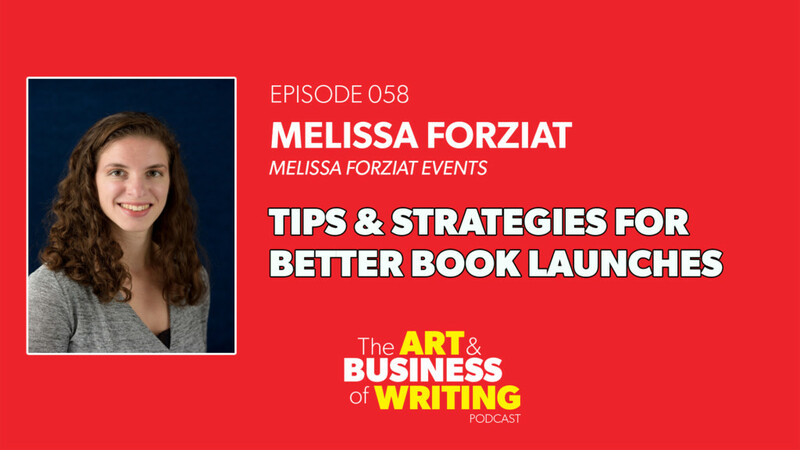 Melissa joins host Chris Jones to talk about strategies for a better book launch. Thinking about publishing a book? 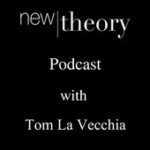 This podcast is for you. 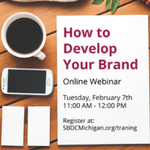 Melissa teams up with the Michigan SBDC for a one-hour webinar on How to Develop Your Brand to attract your target market. 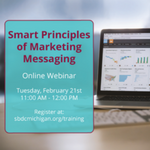 The second in a four-part marketing webinar series with the Michigan SBDC, addressing examples of the many ways companies can insert a message into their communications to get the attention of their target markets. 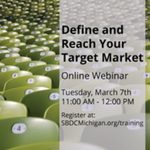 The third in a four-part marketing webinar series with the Michigan SBDC, providing instruction on how to define and locate the target markets for your small business and then reach them most effectively. The fourth in a four-part marketing webinar series with Michigan SBDC, providing instruction on how to build your own online marketing strategy for your small business. The first in a three-part series with Michigan SBDC, providing instruction on how to build a brand that speaks to the right audience and how to successfully reach your target markets with your message. The second in a three-part series with Michigan SBDC, providing instruction on how to make the most of every customer in your pipeline and maximize revenue by developing a marketing funnel for your business. The third in a three-part series with Michigan SBDC, providing guidance on three different tactical approaches to marketing and how to get the most out of them for your small business. Melissa joins up with other marketing professionals to divulge top tips for creating strong marketing partnerships. 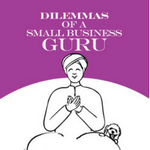 This blog features tips from Melissa’s eBook Small Business Marketing on a Budget in a concise, digestible article put together by Janice Goines. Melissa is a regular guest blogger featured on Business Beyond 5, sharing marketing advice for small businesses in Australia and around the world. Melissa offers some great tips on how to make marketing easier for the introverted small business owner. Melissa provides advice on best practices for networking as an introverted business owner. Melissa shares the importance of building patience into your marketing strategy to attract leads instead of turn them off. Melissa shares her top marketing tips for freelancers. Melissa offers advice on how to create a successful event for your business. Reflections on Melissa’s presentation to the Eloy Chamber of Commerce about the importance of building partnerships to effectively market your business. Melissa provides insight as a small business owner who grew from an event planner to a marketing consultant. Thoughts on how to make the most of your time on social media and the impact of engaging with your audience vs. posting for them. There are five key factors for social media success, and knowing about these factors can help you maximize your social media marketing. Thoughts from Melissa on the power of social media to influence opinion. Melissa and other marketing experts share tips on how to use social media for virtual product launch parties. How restaurants can harness the best practices of social media to attract more customers. Everything a wedding planner needs to make social media work better for their business. Melissa’s tips for acquiring sponsorships for meetings and events.